Paris Jackson, Michael Jackson’s daughter, was rushed to the hospital early Wednesday morning after what E! is reporting a suicide attempt. According to the LAPD, Jackson was taken out on a stretcher from Calabasas family home around 1:30 a.m. and was taken to a nearby hospital by ambulance. The police responded about receiving a call that someone had overdosed. 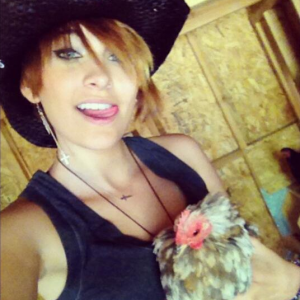 Paris Jackson, 15, posted some tweets in the last 24 hours that raise concern. Another source close to the family told TMZ that Paris “threw a fit” that night when she was forbidden from going to a Marilyn Manson concert. She is said to be doing fine now.